An Israeli military court has polarized opinion following its ruling of manslaughter for a soldier responsible for fatally shooting a wounded Palestinian, in the Southern West Bank city of Hebron, during March 2016. The incident was captured on video by the Israeli human rights group B'Tselem, and appeared to show a man who had been apprehended and disarmed after wounding an Israeli soldier, lying on the ground. Moments later, the soldier — whose name has been withheld under a gagging order — shot the man in the head. Human rights organizations such as Amnesty International have been particularly vocal with regards the incident. "The shooting of a wounded and incapacitated person, even if they have been involved in an attack, has absolutely no justification and must be prosecuted as a potential war crime," said Philip Luther, Director of the Middle East and North Africa Programme at Amnesty International. The soldier was originally facing a murder trial, although this was quickly reduced to a manslaughter charge. The case has been met with a divided response within Israeli society; whilst human rights campaigners have accused security forces of unnecessary lethal force, right-wing groups have held a number of rallies in support, including a poll — signed by 60,000 people — demanding the soldier be honored for his actions. According to initial military reports, the man was restrained following an incident in which an Israeli soldier was stabbed and wounded, but the shooting is claimed to have been in response to fears the assailant might have been wearing a suicide belt. These events take place against a backdrop of Palestinian-Israeli fighting in the region, which has been particularly severe over the last 7 months. Will the Execution of a Wounded Palestinian Trigger a Third Intifada? 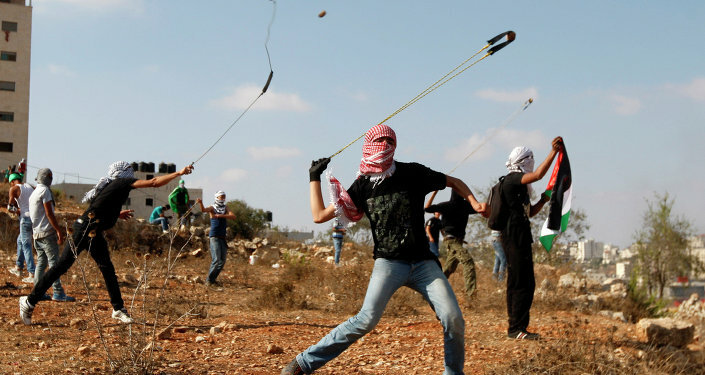 Over 200 Palestinians have been killed as a result of the fighting, 28 Israelis have also been killed. The United Nations has described the incident as an example of extrajudicial killing. High profile figures in the Israeli Government have also condemned it; the Defense Minister Moshe Yaalon condemned the rallies, saying that it was "a case of a soldier gone bad, not a hero," whilst Prime Minister Netanyahu insisted "what happened in Hebron does not represent the values of the Israel Defense Forces." Concerns have now been raised over the personal safety of the activist who shot the video footage for B'Tselem, who has received death threats and attacks at his home.